An astonishing fourth nor’easter in under three weeks delivered more snow to the northeastern United States between Tuesday and Thursday. This storm, however, behaved a bit differently than its predecessors. New York City -- which had largely missed out on the snow from the first three storms with Central Park recording just 3.2 inches of snow from the three storms combined – received its largest spring snowfall in decades. Officially at Central Park, 8.4 inches of snow accumulated by Thursday morning, its largest post-March 20th snowstorm since April 1982. Other parts of the city received even more snow, as LaGuardia Airport received 9.6 inches, while several locations in Staten Island, Brooklyn, and Queens reported over a foot of snow. It was Long Island, however, that bore the brunt of the snowfall from the latest nor’easter. 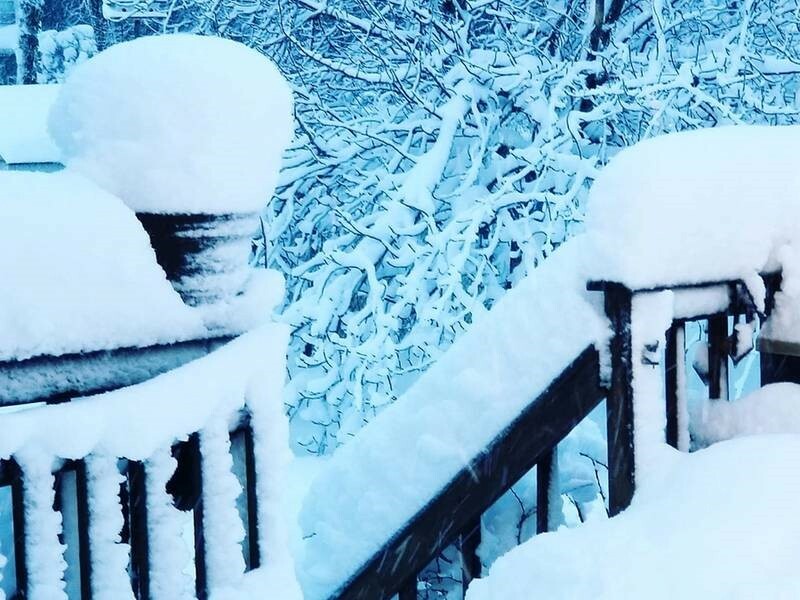 Patchougue, NY hit the jackpot with 20.1 inches of snow measured. The official measurement at Islip’s MacArthur Airport was not far behind with 18.4 inches of snow, 9 inches of which fell in just two hours. Other locations across the Mid-Atlantic also received heavy snowfall with Lacey, NJ recording 15.0 inches, Huffs Church, PA measuring 15.5 inches, and Sabillasville, MD reporting 17.5 inches. Unilke the previous storms, Upstate New York and New England missed the heavy snowfall. Moderate accumulations were reported in the Lower Hudson River Valley and coastal Connecticut while just light snowfall accumulations were reported in the Mid Hudson River Valley, interior Connecticut, as well as much of Rhode Island and Massachusetts.